Model 21 fireplace insert package includes the standard insert panels and blower. 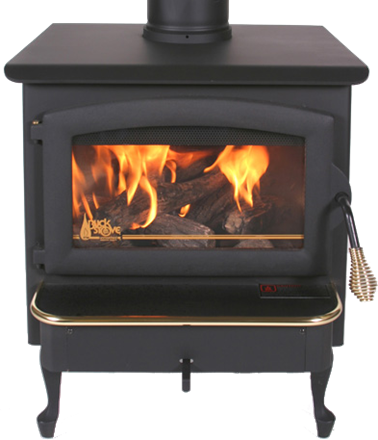 Fits medium to medium small fireplaces, heats from 800 to 1400 square feet in our area. 1.6 cubic foot firebox. Insert position is adjustable to be flush with wall, or will adjust to set further out into the room to let you set small teapot on it for a humidifier, or for emergency cooking. Self cleaning glass, burns smoke and creosote for fuel!